Whether you are a professional barber or a DIY stylist at home, you no doubt are familiar with the Wahl brand. As a professional barber myself, I love Wahl products and am always trying to promote them as an excellent hair clipper brand for salon or home use. Like just about anything else, what is the best clipper will depend on what you need it to do. There is a clipper for every occasion so we need to dissect each model and see which Wahl clippers will work best for your needs. As somebody who does dozens of haircuts everyday, what I need will be much different than somebody looking to cut their kids hair at home. In a nutshell, I love using Wahl buzzers as they are solidly made and durable. I have had ones that have handled a few years of doing hundreds of haircuts a month. I’ve dropped them and banged them off my barber chair and they still keep on ticking. Let’s get more in depth and go through what I think the top 5 Wahl clippers are for every type of scenario. If you don’t want to read the whole reviews about these Wahl clippers, then check out the comparison table below to see how they compare. This is good for people without much hair cutting experience for home use. If you are a professional barber and are looking for a powerful and convenient primary clipper for the shop. Beginner barbers looking for a great, classic clipper for their first set up. Either for at home head shaves or barbers looking for a clipper to do skin fades. An all in one combo that cuts your hair and trims your whole body. Great as beard trimmers, too. Great for cutting kids hair since it is so small, light and maneuverable. Makes a great travel clipper, too. I believe that if you are going to buy anything, it should be the best you can get for the money. Whether that is a bath sponge or a set of hair clippers. 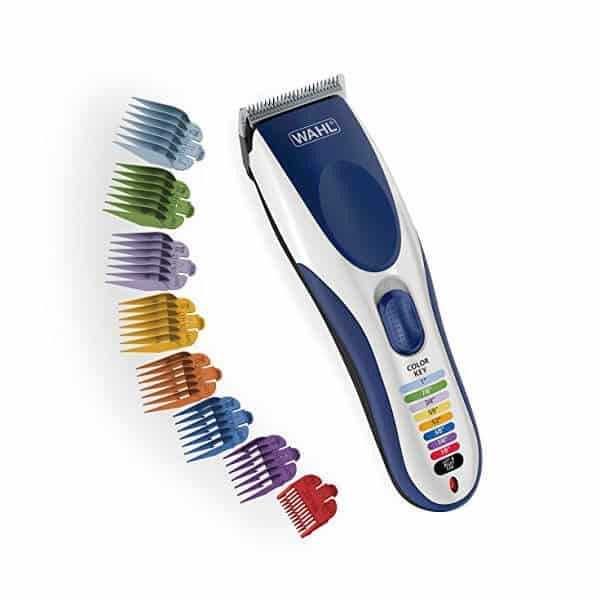 With that in mind, I think that even if you only plan to use your hair clipper once a month, you should definitely get yourself these Wahl clippers over some no name brand off the shelf at Walmart. Wahl clippers are made to last. Not only do they run for a long time, providing countless haircuts, but they maintain the same level of quality throughout their life. As I mentioned, I love using Wahl clippers in the shop because I know that they can handle the rigors of life in a professional shop or salon. I know that the motor is well made and strong enough to handle whatever I throw at it. That kind of peace of mind is worth what you pay, in my opinion. Related to reliability is durability. When a machine is made well, with lots of small details considered and that uses quality parts no matter how small, then you know that it will last a long time. If you keep your buzzers regularly maintained, they will last you a lifetime. 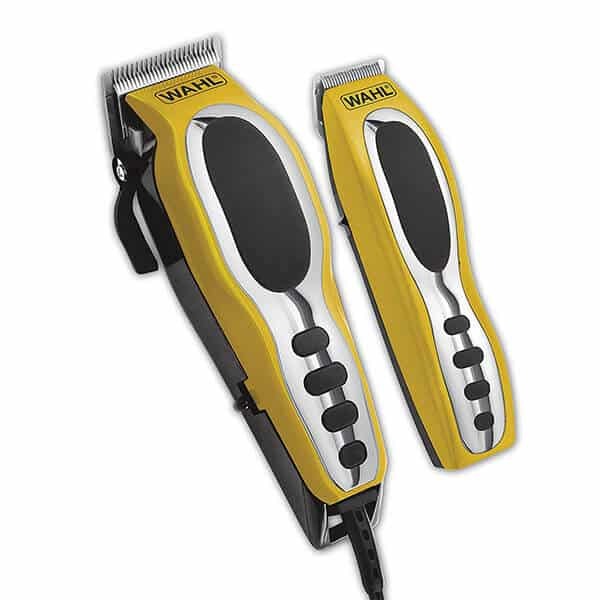 These Wahl clippers housing is made with thick, strong material that won’t fall apart over time. The blades stay sharp and won’t end up pulling your hair like some cheap clippers. You may not think too much about how powerful a motor is when you are clipping hair at home, but it is better to have it and not need it than need it and not have it. The motor of the Wahl clippers is engineered with the professional in mind, so it is powerful enough for any type of hair and any type of cut. The motor is what separates the real deal clippers from the cheap wannabes. With Wahl clippers, you get a motor that isn’t going to burn out on you after just a few months. Since the Wahl clippers are made for use in a shop and the designers understand that they will be held for hours at a time, they are designed to be ergonomic and not lead to hand fatigue. They are shaped to fit well in the hand whether you plan to do one cut a month or a hundred. There is a learning curve with any brand of clipper, but Wahl clippers are still easy to use for anybody. As I mentioned, what your needs are will determine which model you end up with, but rest assured, whatever the model you choose, it will be a cinch to use and maintain. Wahl clippers can also come in sets with a wide range of guides and clips to make any type of haircut possible without needing to use different clippers. Even if you don’t buy a set, there is always the possibility of adding specially made Wahl accessories for each of their clippers. If you have never held a pair of clippers then the model will need to be something simple. 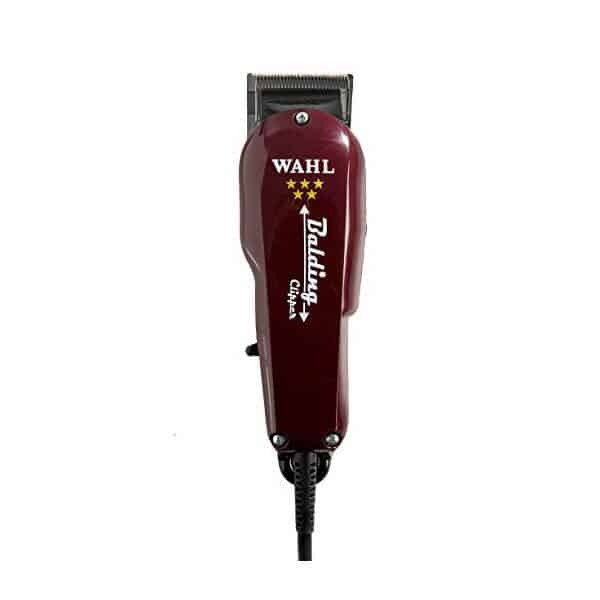 The ideal Wahl clippers for beginners should be a smaller model like a Wahl Lithium Ion. I’ll go into a more detailed review of Wahl clippers in a moment, but the fact that it is lightweight and cordless will make it easy to handle for home use. 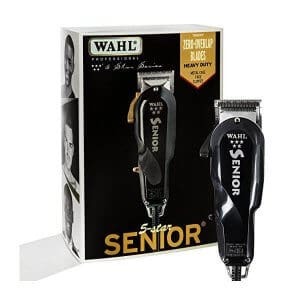 For somebody who has some experience and is looking for the same clippers a barber uses will look for something a little more beefy like the Wahl 5 Star Senior that can handle fades and regular cuts. If you’re going to be cutting kids hair, for instance, you may want a smaller model like the Wahl Peanut. Getting around a kid’s head is a challenge with bigger Wahl clippers. Fades can be done easily with the Senior if you are doing them at home. For a shop or salon I would go with the Super Taper 2. Regular haircuts can be done with any of the units, even the tiny Peanut. If you are looking to shave the head down to the skin, then the Wahl Balding clipper is best. As you can see, there are a lot of different Wahl clippers models and each has its own specialty. Read the detailed reviews of each of these Wahl clippers below to make sure you are getting the right tool for the job. Power also comes into play. If you need to do a lot of haircuts or you are cutting somebody with thick or wiry hair, then you need to make sure the motor can handle it. 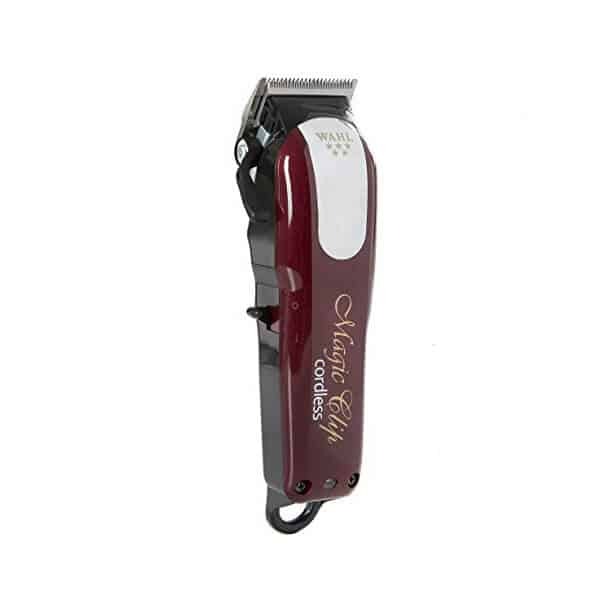 The most powerful of the Wahl clippers lineup is the 5 Star Senior that runs at a V9000 power. For most simple home haircuts, it might be overkill, but it is always nice to have that extra power when you need it. If you are on a budget, then you can still get a high quality Wahl clippers, so don’t think that you need to go to a drugstore to get a cheap clipper. 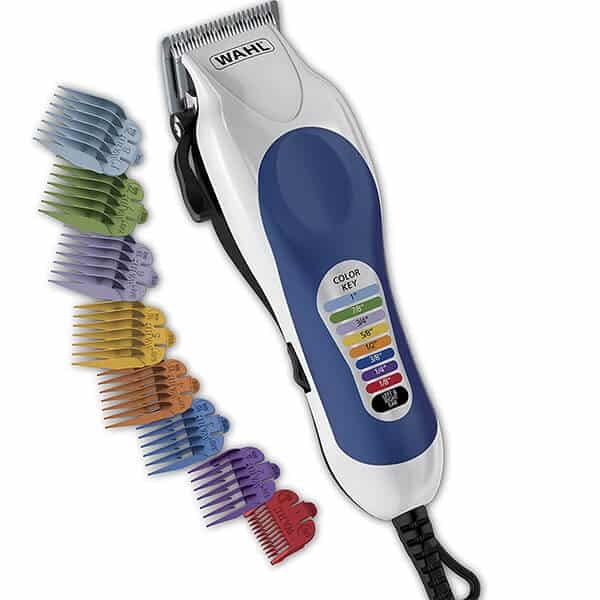 For a good price there is the Wahl Color Pro that can fit any budget. If you are a professional, then you can spend some money and get the top of the line. And be able to write it off at tax time. With so many different Wahl clippers models, there is a clipper for every budget. An important thing to consider is what part of the house will you be using the Wahl clippers. If you get a corded version, then will there be a free outlet close enough to the spot you plan to do most of your cuts? If you plan to work outside to not make much of a mess, then you should get the cordless Wahl clippers. Also, if the space where you plan to work is tight, and room to maneuver is at a premium, then a cordless is ideal for that area also. 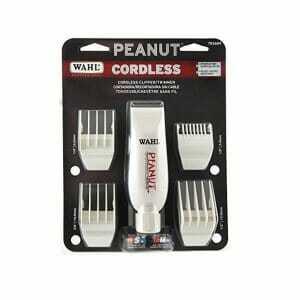 If you have plenty of space and outlets are plentiful, then even corded Wahl clippers will be great. What makes this Wahl clippers set the best for use at home? The first thing to highlight is how easy it is to use. For somebody with no hair cutting experience, Wahl made sure to make it easy to figure out how to use it. With colored guards and and a handy color coded guide to the lengths, it takes all the guesswork out of the equation. Right on the body of the clipper is a list of the corresponding plastic comb for the right length. The guides are easy to attach and held on tightly. You don’t have to worry about the guard popping off and leaving a bald patch! Another highlight is the fact that the set comes with everything you need for just about every type of haircut you might be doing at home. Maintenance is very easy since the blades are self sharpening. You won’t need to send these out for the blades to get sharpened and be without it while you wait. Adjusting the length is easy to do with the lever on the side. Open and close the blade for more precise cuts by moving the lever incrementally. This is perfect for giving a nice taper for easy blending with no lines or shadow visible. The lever is a little bit stiff, so you might not be able to adjust it on the fly with one hand, but since you’re not using this clipper to cut dozens of heads per day, that shouldn’t be an issue. The shape fits very well in the hand with the classic Wahl design of putting most of the weight close to the blades. This makes the rocking motion easier to make quick work of any haircut. For the price, this is also the best buzzer to use as a beard clipper. You get the precision you need, the powerful motor, the reliability and the ease of use. All for the same price or less of a dedicated, specialty beard trimmer. The rechargeable one is even more convenient, with a battery that lasts over an hour. And it still boasts the same amount of power as the corded version. If you need a travel clipper and still want a professional style cut, then you can charge this up and take it on the road with you. Or to the off grid cottage for a vacation. Verdict: A fool proof way to cut your own hair or do some cuts for your friends and family at home. It even comes with instructions to make sure you understand how to give a perfect haircut with these Wahl clippers. 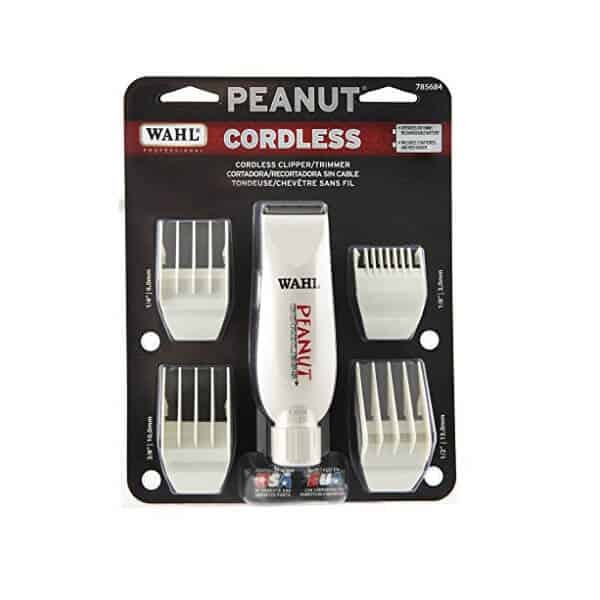 These Wahl clippers are from the commercial grade line up of professional clippers for barbers and stylists. When you need high performance, then these are the go to clippers that you should be looking into. They are precise, built to last and with a 90 minute run time between charges, very convenient. Every barber needs several clippers in their arsenal to make sure they have every tool they need to do every job at hand. But, there is always that one clipper that takes the lead and is used more than the rest. For many that is the Magic Clip. The fact that it weighs only 10 ounces means you can make this your primary clipper and it won’t lead to hand fatigue over the course of the working day. 90 minutes of run time might not seem like a lot when you are cutting all day, but don’t forget you just need to plug it in while it isn’t being used to top up the battery to give you enough juice to last the whole day. If you do run out of battery, you can plug it in and use it as a cordless one as it will run while plugged. 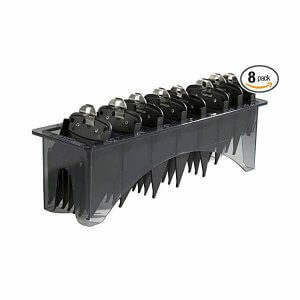 For added versatility, these can be zero gapped and used to get those tight lines usually reserved for trimmers. Careful though! These blades are sharp and if you over do it when gapping, you can end up nicking your clients. These Wahl clippers use the typical magnetic motor, but luckily is very quiet. If there is one thing I can’t stand is walking into a barbershop and hearing a deafening clacking noise from multiple clippers running at the same time. These don’t hum like an Oster 76, but they are very quiet for the type of clipper they are. I don’t know how, but these also stay cool even after putting them through the ringer and using one customer after another without a break. One thing that always had me going for the Oster clippers over Wahl and Andis was the fact that those would heat up. They stay very comfortable to use. Even the length at 6.25 inches is just right. And the ergonomic shape is ideal. The classic Wahl shape is something I really love as it makes them very comfortable to use. The lever to adjust the blade is notched, which is something beginner barbers could really need. The notches can make sure you are setting the blade exactly where you need it and then make your incremental adjustments evenly. I will say that I find the lever to be too stiff when you first use it. I always like to take a screwdriver to the lever and loosen it up a bit so I can make my adjustments one handed. Verdict: I firmly believe this is a must have in every barber’s tool box. It is one of the best Wahl clippers for fades as the precision blade makes it easy to blend in when fading. Tapers come out perfectly blended in the right hands. Any barber starting out is likely to consider one of three clippers to be their primary set. The Andis Master, the Oster Classic 76 and the Wahl Senior. When you are new to the barber profession, it is important to save money when getting your gear sorted. For the most bang for the buck, the Wahl clippers to me are among the very best clipper for barbers. The Wahl clippers can handle every kind of cut, but are excellent at fades. With 75% of my clients getting fades of varying lengths these days, i find myself using the Seniors more and more often. They are durable, with a very tough clipper body that can withstand some abuse that is all but guaranteed to happen in a busy shop. The motor is very powerful at v9000 so they can handle even the toughest haircuts without slowing down. And the blades are very sharp and can be zero gapped for very precise lines and blend ins. The blade is the #1005 which when closed is equivalent to a 0000 blade. When zero gapped gets even closer than that. That blade makes it awesome for doing bald fades with a straight edge at the bottom. It’s among the quietest of the electromagnetic motor driven Wahl clippers, so you won’t blow your client’s ear drums out and can actually have a conversation with them. At 6.5 inches, the body is not too big and not too small. It is top heavy, meaning it has that classic Wahl shape where the area closest to the blade is heavy giving it a good center of gravity. It is a bit heavier than the Magic Clips at 1.2 pounds, so keep that in mind if you decide to use this is your primary clippers. Where this falls short compared to the Magic Clip is that it tends to get a bit hot when using it one customer after another without much of a break. It doesn’t heat up as much as the Andis master, which in my opinion is the worst offender when it comes to getting hot, but it is noticeable. Verdict: This is a very good clipper for the barber just starting out and building his barber kit. If you are a DIY guy that does his own haircuts at home, then this is a good upgrade from using the cheapo clippers for home cuts. The more experienced barber can certainly use this as an auxiliary clipper or as their dedicated fading clipper. When it comes to getting almost as close to a razor when using a clipper, then you need the Wahl balding clipper with its #2105 blade. This blade gets as close as the 000000 blade and is about as close to the skin as you can get. When you want to shave your head bald, then this is ideal. Note: Though these Wahl clippers are designed to get as close a shave as possible with a blade, they are designed for professionals. With that in mind, you need to be careful when using these as the blade is surgical and commercial grade in sharpness. Go slowly and work steadily to avoid getting any nicks. This is not a shortcoming of the blade, it does what it was designed to do. You just need to use a light hand as it is a serious tool and not a Johnny Come Lately clipper from CVS. 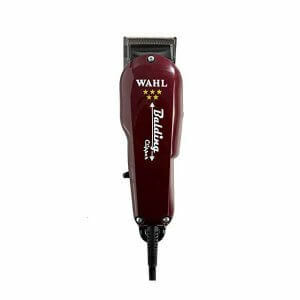 If you are a barber looking for the best Wahl clippers to do skin fades, then the Wahl Balding is the logical choice. Just make sure you keep the blade flush with the skin. If you are a “flicker”, in other words the type of barber that tries to eliminate the line by using a flicking motion, then you will likely snag and nick the skin. Use it flush and gently ride up to the point you want to erase the line. This is not only the safer way, but a much better technique than flicking. Maybe it doesn’t look as cool, but this is how a pro should be doing it anyway. As I said, it starts with the same length as the 000000 blade. If you are doing razor fades, then you can get rid of the line by starting out with the Balding clippers right after the razor. The one thing missing that would make this a game changer when it comes to bald fades is the lever. I would love to start with the closed blade and then incrementally open it to really knock out the line for a nice blended fade. That said, if you are a pro barber then you likely will have this as just one of many tools to make sure you can handle any cut that comes through the door. It works great as a specialty tool and not as your primary clipper. 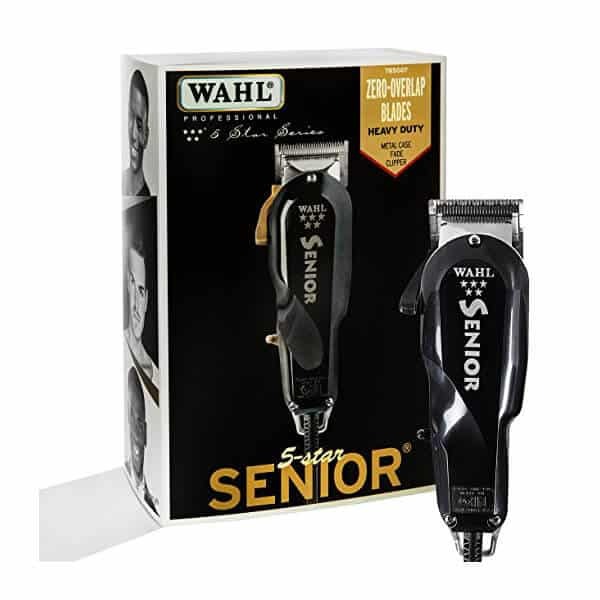 The motor is a respectable V5000, but that does put it far short of the power you get with the Wahl Senior. Again, not ideally suited for use as your main clipper. If you do find yourself doing tons of bald fades, then at least this isn’t too heavy at 1 pound in weight. The length is the typical 6.5 inches for most other professional grade Wahl clippers. The cord is 8 feet long which allows you to use it just about anywhere. The cord is chemical resistant. As we know spills happen often in the shop, at least it won’t get corroded and become dangerous after a while. Verdict: when you need a special tool for a particular job, like a skin fade, then this is the best you can get. If you only need it to buzz your head bald at home, it will last a lifetime and in the long run save you tons of money. You’ll never need another set of home haircut clippers again for the bald look. When you want a clipper that can groom you from head to toes then you need the Wahl Groom Pro. For at home haircuts, you get a set of Wahl clippers that is almost as good as a professional one the barbers use. I say almost because it isn’t powerful enough to use all day in a shop. But, for home they are pretty powerful and can handle any hair type or type of haircut. Then, with attachments, you can give a nice tapered regular cut or even a buzz cut. For the rest of the body, they can handle a large job. Easily trim up your ears, chest, legs arms and pubic hairs. The lever on the side opens and closes the blade for even more precision, ideal for the fade or taper cuts. It even comes with a AA battery powered set of trimmers for getting to the hard to reach areas or to make a crisp line around your hairline after a cut. If all you are looking for is a combo set for beard trimming, you are making the right choice here. It can cut through the thickest beards like butter and keep coming back for more. What makes these so much better than other body groomers is that they are more professional. The blades are carbon steel, super sharp and self sharpening so they stay that way. The motor is durable, and if you are using it to give yourself haircuts a couple times a month, can possibly last a lifetime with regular maintenance. It can cut through any type of hair without snagging or pulling your hair. Ergonomic and comfortable, the body also has some rubber grips to make it easy to keep it in your hand. The unit is lightweight and easy to maneuver to get in every area you need it to. Verdict: there’s no need to keep a bunch of different tools around for grooming your whole body. With this one set of Wahl clippers, you have everything you need and then some to keep your manscaping in check. Don’t let the mini size fool you. They may look cartoonish and have a cute name, but these are actually serious Wahl clippers. When clipping a kids hair, maneuverability is key. You need to work efficiently and quickly. Believe me, with a 5 year old of my own, I know what a challenge it is to cut kids hair. That’s why it is essential to have a tool like the Peanut that can make your life easier. What makes it even more helpful is that it is not just a small clipper. It is a very, very good clipper that happens to be small. Weighing in at 4 ounces and only 5 inches long, this cordless hair clipper almost feel like a part of your hand as it fits snugly in your palm. Not having a cord getting in the way also makes it much faster and hassle free to cut kids hair. The beautiful aspect of this Wahl clipper that I wish all Wahl clippers had is the pivot motor. Instead of an electromagnetic motor that rocks the blades side to side and is responsible for a lot of noise in some models, the pivot motor spins so it has a quiet hum. This is really important as kids can get spooked by a loud clipper right by their ears. The pivot motor is very strong, as it delivers more torque than an electromagnetic one. It doesn’t go as fast, in fact the electromagnetic motors cut twice as fast, but it doesn’t snag or pull hair like the magnetic ones. The big downside are the included rechargeable AA batteries. These might be fine for a simple, quick buzz cut on a id, but using it in the shop or salon they just don’t measure up. Not only will they not last long between charges, but the power is affected negatively. Make sure you swap them out for some heavy duty batteries if you need this clipper to do some heavy lifting. That said, you can use this Wahl clippers, some would call it a trimmer, in a bunch of other ways. People who use it as a beard trimmer rave about it. It makes quick work of your beard and the small size makes it so simple to use. Verdict: Whether at home or in the salon, these mini Wahl clippers will get used way more than you think they will. They are versatile and powerful and can handle a lot of different haircuts. If you’re buying a Wahl hair clipper that doesn’t come with the full set of guides, then you should really invest in a complete set. Also called comb attachments, these clip on to just about any of the regular sized Wahl clippers. They can be a bit tricky to get on until you get the hang of it, but that is a good thing. These Wahl clippers will clip on and stay snugly in place so you don’t have to worry about them coming off and balding anybody up. They are very durable. In fact I only got rid of mine after 10 years because somebody got me some new ones as a gift so I gave them away. Since 1911 when Leo Wahl went door to door peddling a massager to barbershops, the company has been leading the way in improving what would eventually become a household name in hair clippers and other grooming tools. By visiting so many barbershops, Leo Wahl began to understand what barbers needed to be able to do their job more efficiently. After getting a patent for an electromagnetic motor, he made the first handheld hair clippers. Up to that point, hair clippers had a motor that stayed stationary on a counter with a long cord that attached to the handheld part of machine. The new motor allowed the entire machine to be self contained in a hand held unit. This was a revolution for barbers as it enabled them to cut hair more quickly and with more power and efficiency. By the beginning of World War 2, they had dived completely into the beauty business with products like professional salon hair dryers, shear sharpeners, shears, curling brushes, combs and attachments for hair clippers. Reading the history of the company, I was surprised to learn how early they became innovators in products that seemed way ahead of their time. For instance, in 1965 they created the Vac-Clipper, which was a hair clipper that would vacuum away hair without dropping any hair clippings on the customer. Then in 1971 they invented a cordless hair clipper with rechargeable batteries. I am sure it was not very powerful or efficient, but it comes as a shock that something we associate with being such a recent invention was already done by Wahl decades ago. In the mid 80’s they made a dedicated beard grooming clipper. It’s no surprise that they are so popular with barbers as they actually understand the profession better than just about anybody. With this kind of track record, I am really curious to see what they have in store for future Wahl hair clippers. To make sure your Wahl clippers last a long time and are always cutting to their full potential, you should make sure you are keeping them clean. In addition to that, do some regular maintenance and your Wahl clippers will thank you for it. Before and after each haircut you should use a brush to clear any hair from the blade. Hair is corrosive and will eventually cause your blade to rust if you don’t do this crucial step. After you sweep away the hair, use a disinfectant spray, preferably one with a lubricant, to sanitize the blade. Repeat this step after the cut. This is the simplest thing you can do to keep your clipper working well. Once a week or so, you should also clean the blade with a blade wash like this one from Amazon.com. Put the wash in a shallow container and while the clipper is running, dip the tips of the blade into the wash. As it cleans away the dead skin, sweat and remnants of hair products, you will actually hear the clipper start to run more quickly. A blade with build up on it takes more power to run so clearing it up will actually speed up your clipper. Once it is done, dry it off with a towel and let it sit out to dry completely. Once it is dry then use some oil on it. After doing this, make sure your clipper blade is aligned. Simply look at it at an angle and you will notice if the blade is not lined up right. Hair can get inside the body and end up messing with the inner workings of the motor. On the top of the blade you will see two screws. Just unscrew them and remove the blade and you will see inside the unit. Shake out whatever hair comes out on its own and then use some compressed air to spray out the stubborn hair. Before and after every haircut use some clipper oil on the tips of the blade. You really only need three drops. One on each side of the blade and one in the middle. When you turn the Wahl clippers on, it will spread the oil to all of the tines, so no need to douse it. Keeping your blades lubed will make it easier on the motor and cause less of a strain. This will keep it lasting longer. One problem that comes with electromagnetic motor driven Wahl clippers is that they tend to get very noisy. There is a very quick fix to this if it starts getting loud on you. On the side of the clippers you will see a screw. With a screwdriver, turn the screw until it actually gets louder. Then start slowly turning it counter clockwise until the noise is gone. If it is just out of tune, then this should solve the problem. When it comes to home use or professional, Wahl clippers may be the only ones you need. Dependability is something lacking in a lot of products, particularly grooming products, that it comes as a welcome relief to have machines you can rely on. Instead of ones built with planned obsolescence. They are built to last and get the job done. Take care of your clippers, though, and they will take care of you. Make sure you perform regular maintenance on your hair clippers. Always brush the hairs off your baldes when you are finished with the haircut. And oil the blades before and after each cut. Keeping it clean will keep it in good condition and make sure it lasts. Do you have any questions about these clippers or others? We’re always here to help you make a decision about which one is best. Drop us a question in the comment box below!